Meets the first Monday of every month. 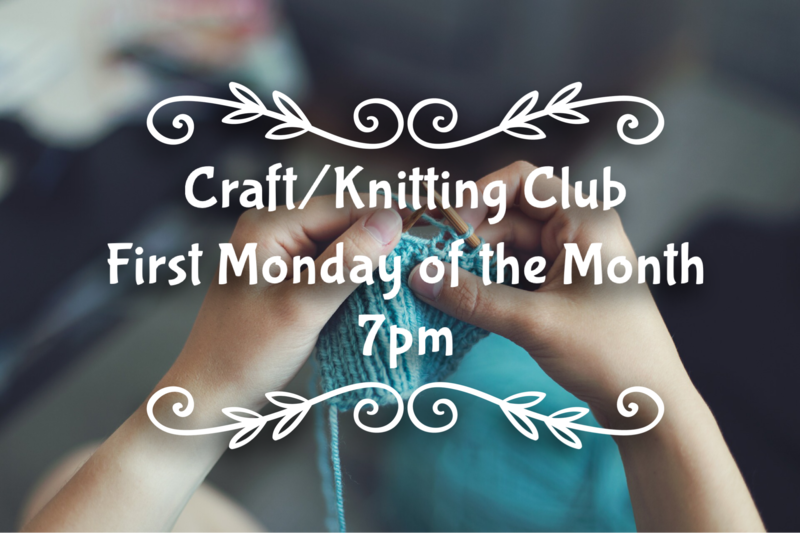 Bring a craft or knitting project to work on. This is a social gathering to share ideas, tips, and work on projects. (Please no glitter in the clubhouse). Questions, please contact Stef Reed.